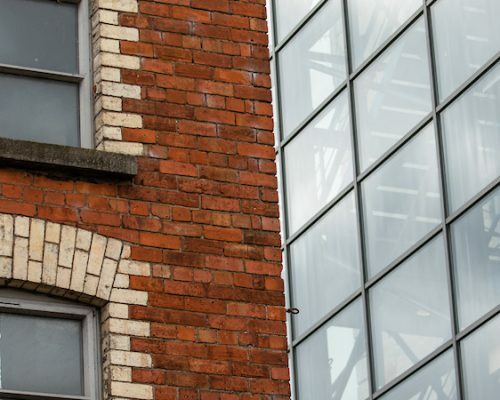 Keep revisiting the site or join the newsletter to get updates about all the latest events being listed in Newry Business Improvement district. 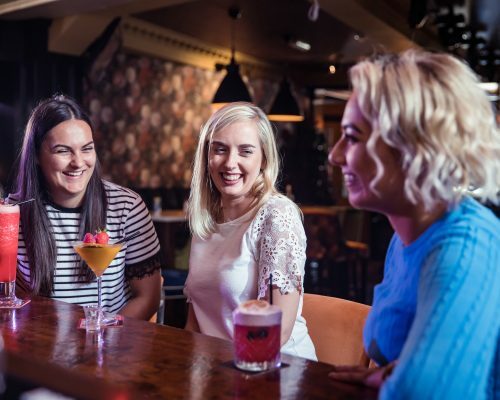 A History of Performing arts in Newry and Mourne’ exhibition, which highlights the huge passion for music, dancing, drama and arts there has been in the Newry and Mourne area over the years. On display are programmes, photographs, posters, leaflets, newspaper cuttings, costumes and trophies relating to performing arts organisations and competitions in the district reflecting this rich heritage. This display charts the history of the railway line that opened in May 1849. Originally known as the Newry, Warrenpoint and Rostrevor Railway this rail link operated for around 150 years. During those years it was instrumental in the growth and development of Warrenpoint and Rostrevor as popular tourist destinations for holiday makers and day trippers alike. 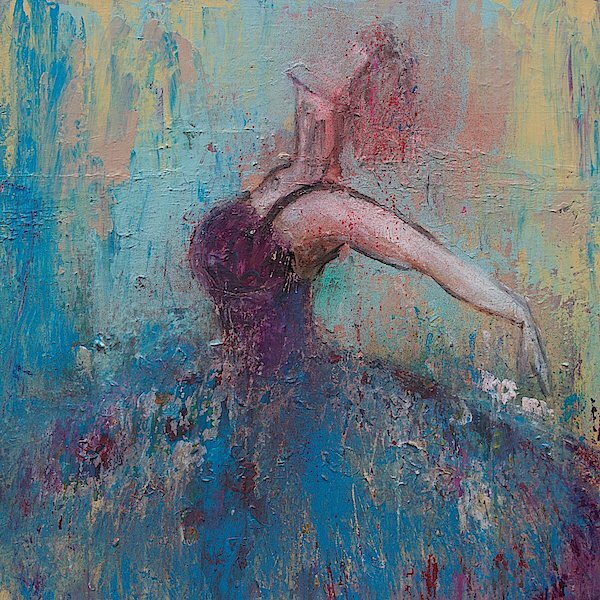 New Works by Maria Mitchell. A beautiful and vibrant exhibition of life’s images and experience. 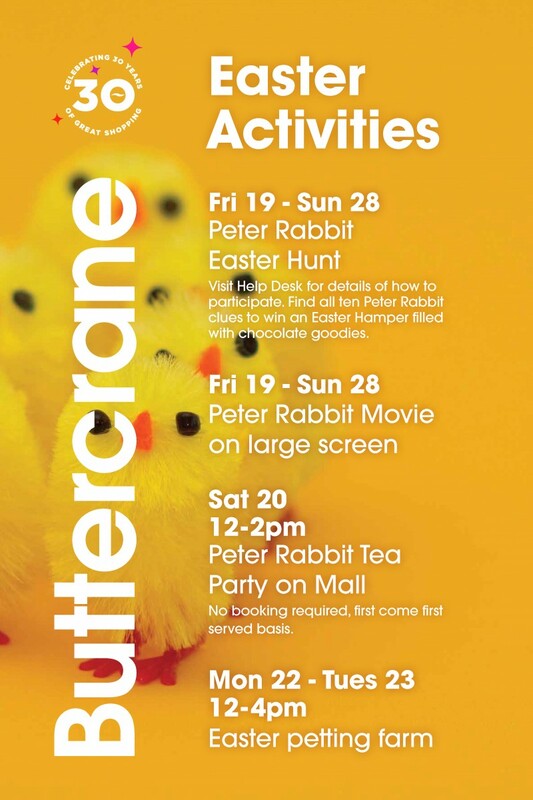 19apr(apr 19)12:00 pm28(apr 28)4:00 pmEASTER at Buttercrane Shopping Centretake part in our Easter Hunt on Mall..
From the 19th – 28th April we’ll have lots to keep the kids entertained, Peter Rabbit the movie will run on mall, we’re hosting a Peter Rabbit Picnic on Mall and we’ll have an Easter themed Petting Farm (with lots of cute bunnies) too during Easter Week. 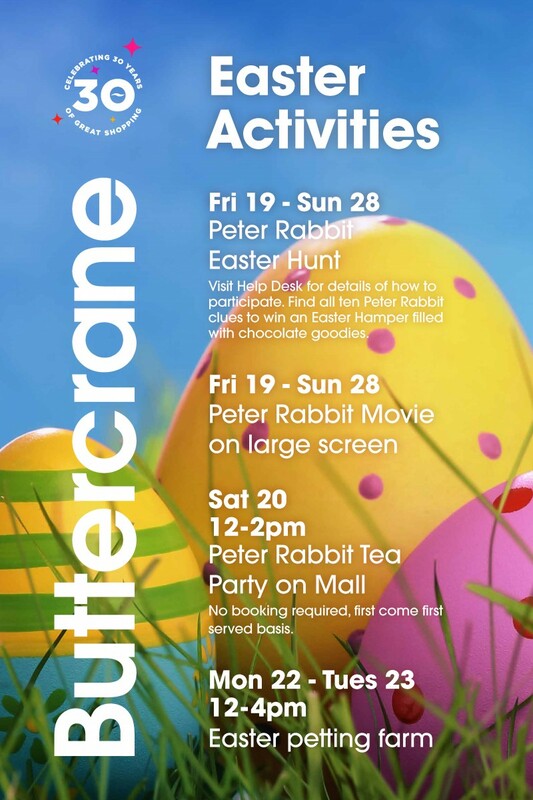 Peter Rabbit Easter Hunt across Centre – running all Easter week Fri 19th to Sunday 28th April inclusive – visit Help Desk for details of how to participate. 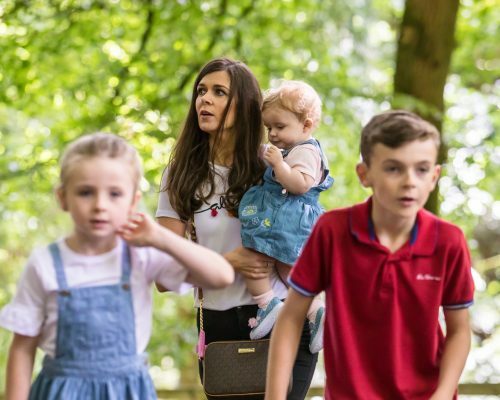 Find all ten Peter Rabbit clues to win an Easter Hamper filled with chocolate goodies. 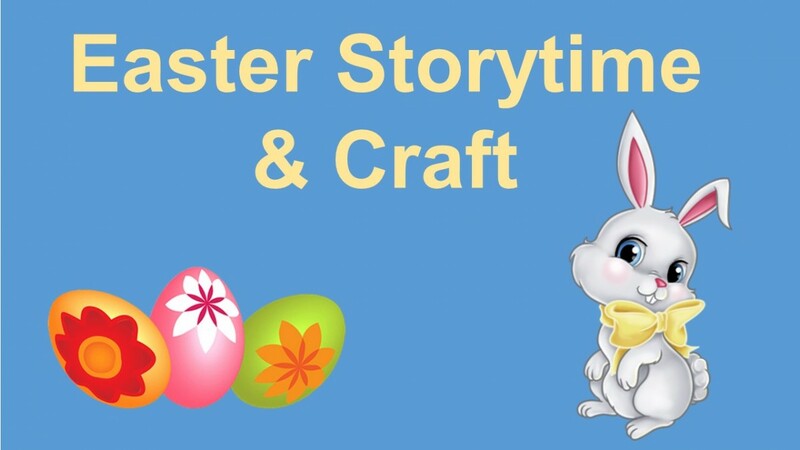 19apr4:00 pm5:00 pmLazy Easter BunnyUse jumping clay to make an Easter Bunny. Use jumping clay to make an Easter Bunny. 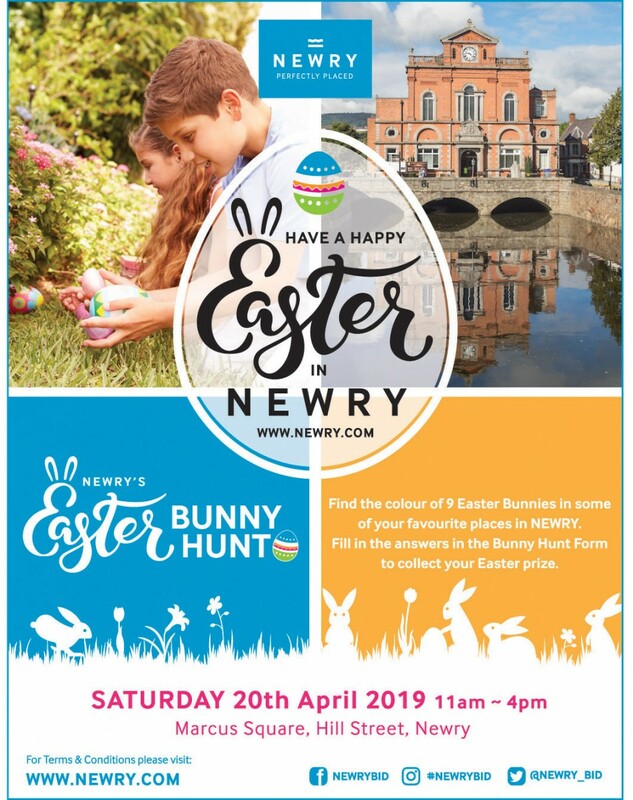 20apr9:00 am5:00 pmNewry Easter Egg Huntjoin in the fun this Easter in Newry! Find the colour of 9 Easter Bunnies in some local businesses and well known places around Newry City! Fill in the answers on the Bunny Hunt form to collect an Easter Treat From the Easter Bunny at the end! There will also be Family Entertainment & Face Painting on the day. 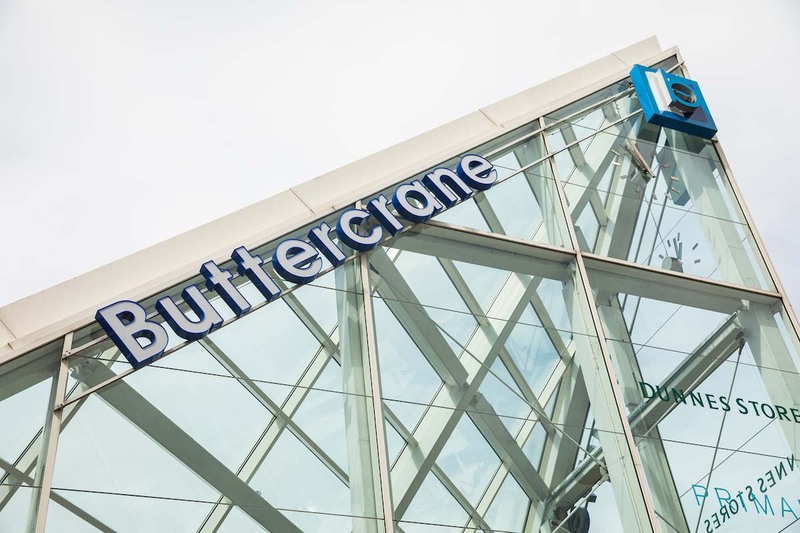 T&C’s – All forms MUST be returned to the BID Team at Marcus Square in order to collect a Treat (while stocks last). 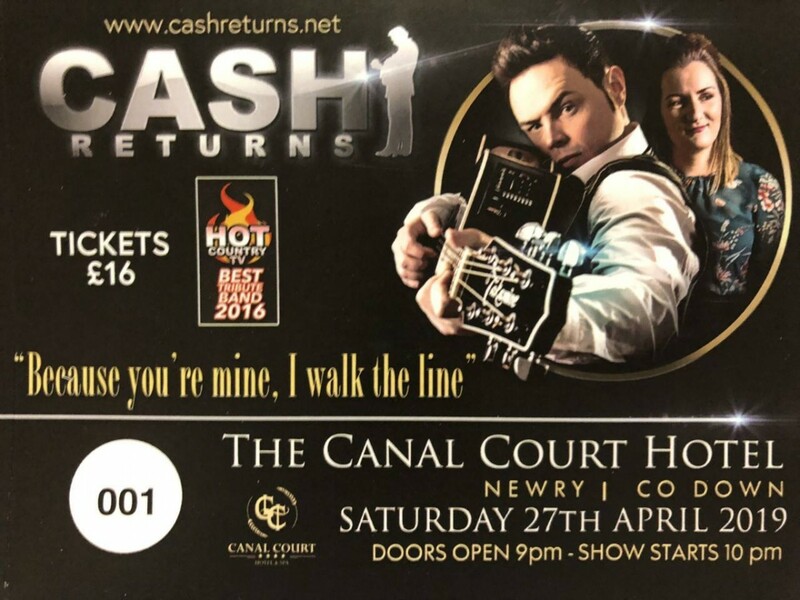 Forms will be available to collect anytime in the Events space in Marcus Square, Hill Street on Saturday 20th April. Come along and join in the fun this Easter in Newry! 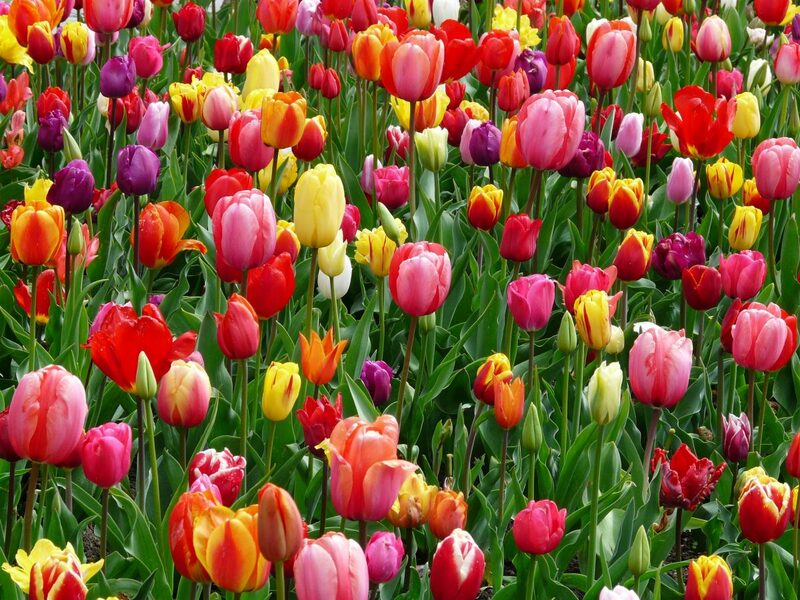 20apr12:00 pm6:00 pmThe Quays Newry this EasterJoin in the fun at The Quays Newry this Easter! 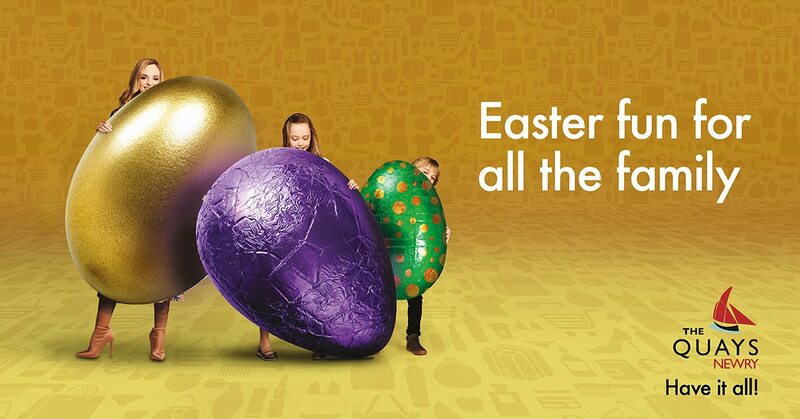 Join The Quays Newry this Easter for a whirlwind of fun activities for all the family. 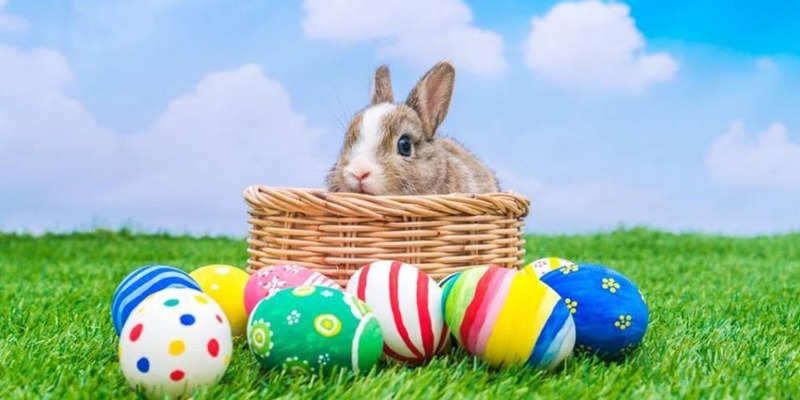 On Easter Saturday from 12:00 to 16:00 there will be face painting, their fabulous kid’s club, a visit from the Easter Bunny, a DJ and a HUGE Easter egg giveaway! On Monday, there is cupcake decorating on the mall between 12 and 4pm. And on Tuesday, from 13:00 to 16:00, there will be an indoor bouncy castle, nail painting and more face painting! Join in the fun at The Quays Newry this Easter! Perfect for families to try new and adventurous activities in a relaxed and fun environment. Try Climbing, Abseiling, Survival, Rocky Shores and our new activity, the Kilbroney Park Challenge! 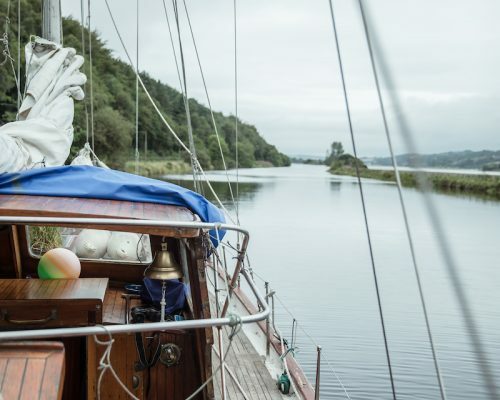 Isosceles, Pat Abernethy and Dave Marsden, return to their Irish roots for this intimate, musical evening – Pat from Belfast and Dave from Dublin. Song selection will include songs written or sung by the likes of Paul Brady, Christy Moore, Shane McGowan, Phil Coulter, Dolores Keane, and many more. Join local guide Una Walsh for a coach trip around this historic area. Please wear appropriate clothing for the outdoors as we will be walking across rough ground for some stops. 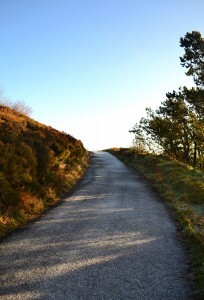 The event is part of the Mourne Gullion Strangford proposed UNESCO Global Geopark activity Programme. 25apr10:30 am4:30 pmExplore the Ring of Gullion by Coacha coach trip around this historic area. 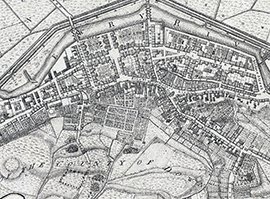 Join local guide Una Walsh for a coach trip around this historic area. 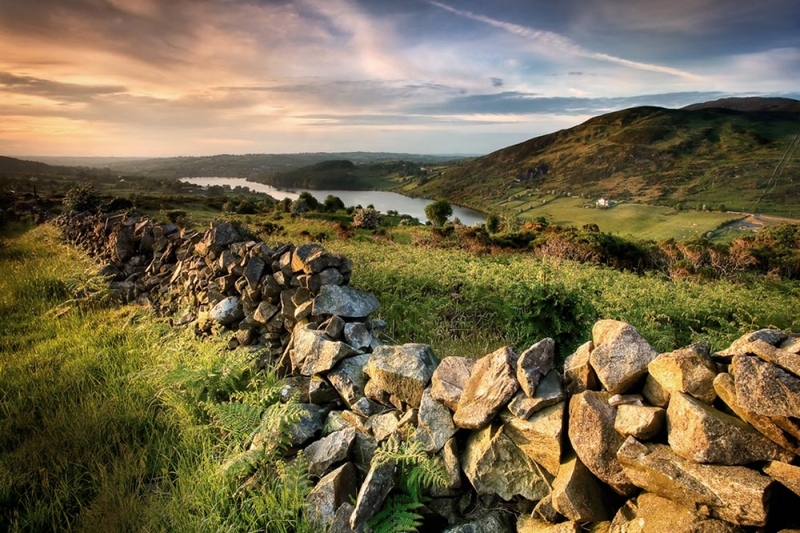 The Ring of Gullion lies within a region long associated with an ancient frontier that began with the earliest records of man’s habitation in Ireland. It was along these roads and fields, and over these hills and mountains, that Cúchulainn and the Red Branch Knights, the O’Neills and O’Hanlons roamed, battled and died. 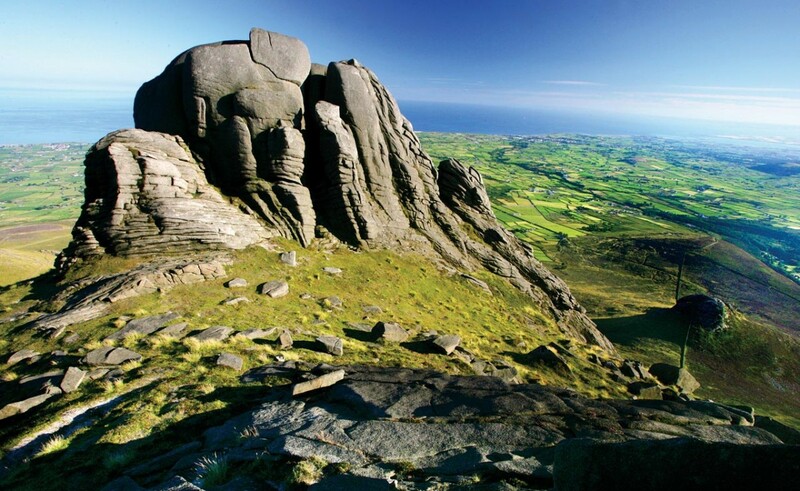 The event is part of the Mourne Gullion Strangford proposed UNESCO Global Geopark activity Programme. 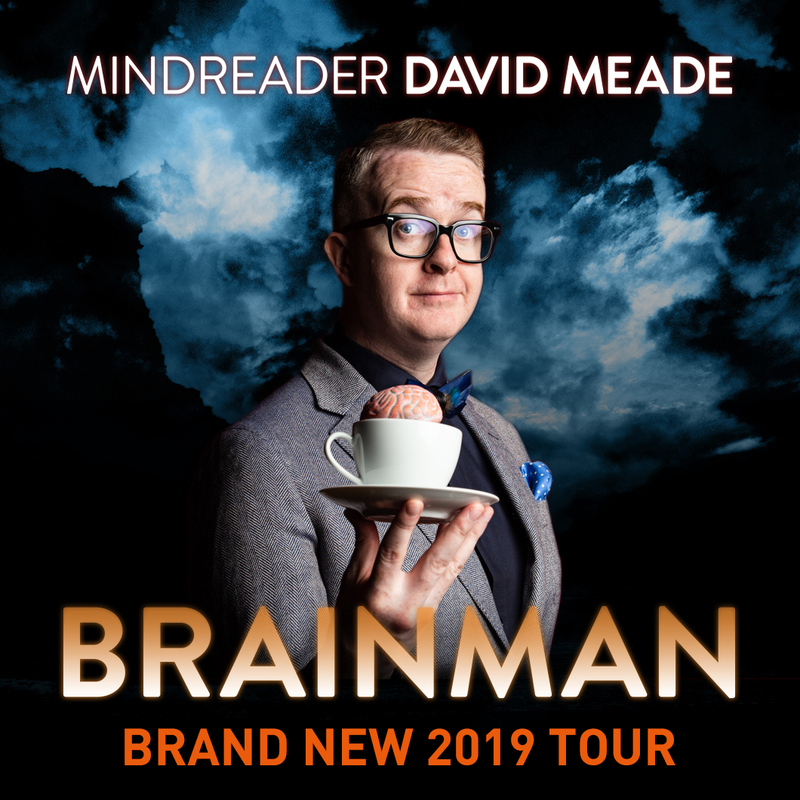 26apr8:00 pm10:30 pmMind reader David Meade presents BrainmanBrand new show for 2019! Brand new show for 2019! Just returned from the USA to deliver his funniest and most incredible show yet, Mind reader David Meade – the first mentalist to win a Million dollars in a Las Vegas casino – will blow your mind as he does the impossible live on stage right in front of you. 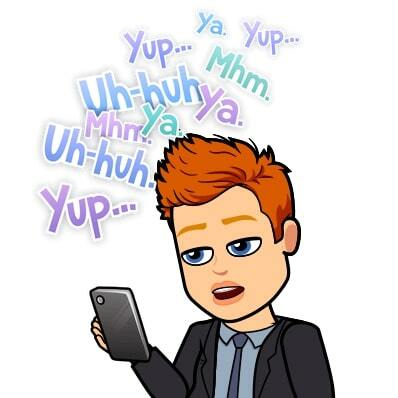 30apr9:30 am11:00 amSocial Media Training – Back To BasicsSpaces are limited and are on a First Come First Serve Basis! 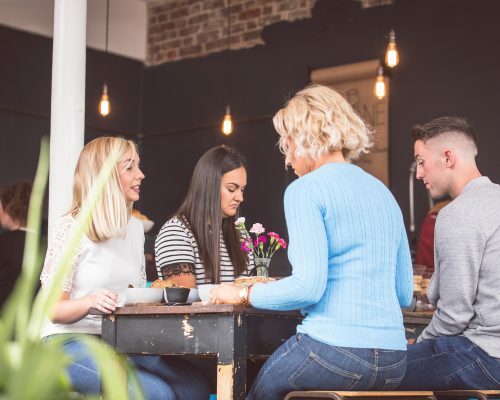 This course will give you an insight to Social Media & how you can use this effectively to build brand awareness, increase your audience, connect with current customers, how to grow your business & increase your reach! 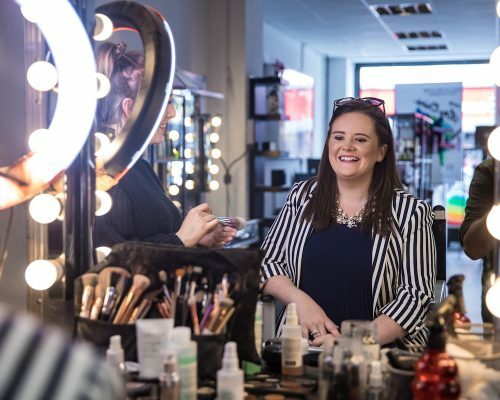 Lianne McCooey is an Award winning, plain talking, honest and direct social media influencer who has a self-built audience and has established credibility in a specific industry. NOTE: Can all attendees please bring the device they use daily to the session. Spaces are limited & are on a First Come First Serve Basis! If we are oversubscribed, the BID will schedule another in due course. 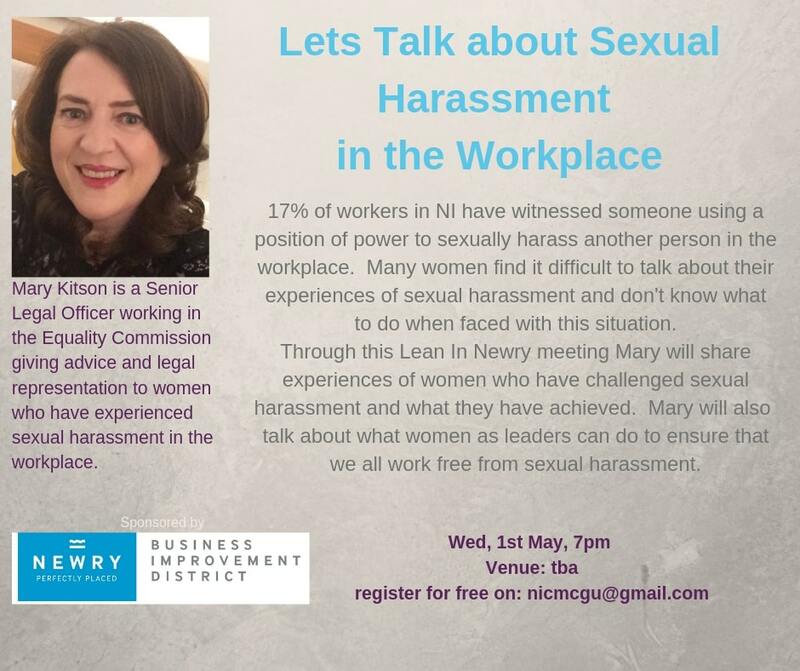 01may7:00 pm9:00 pmLean In Newry Workshop: Sexual Harassment in the workplaceThis is a Female ONLY Workshop. Wednesday 1st May at 7pm Venue: TBC Register for FREE on: nicmcgu@gmail.com Please Note: This is a Female ONLY Workshop. 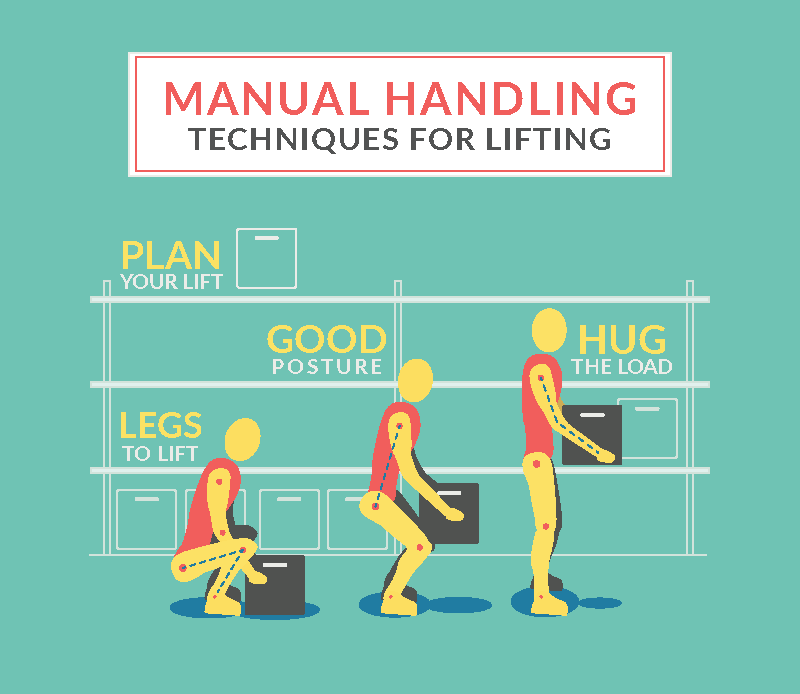 Please Note: This is a Female ONLY Workshop. 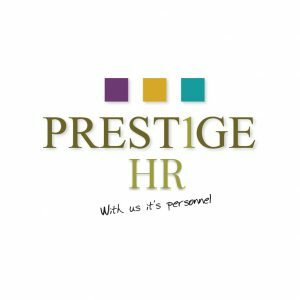 Details: If you have completed a full 3 day certificate in recent years but would like a quick refresher session on current legislation and training delivery then this is the course for you. 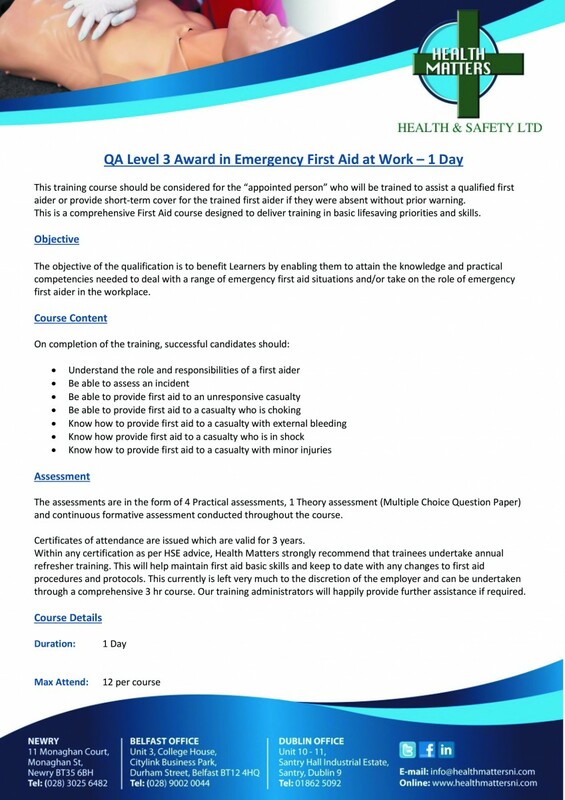 Details: This course provides the comprehensive set of practical skills needed by first aiders in most workplaces to become a confident first aider at work. 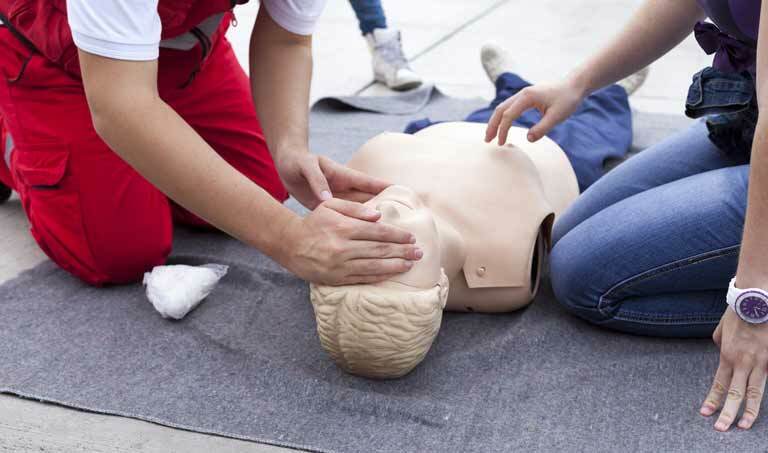 Giving both the ability and knowledge to deal with first aid emergencies. 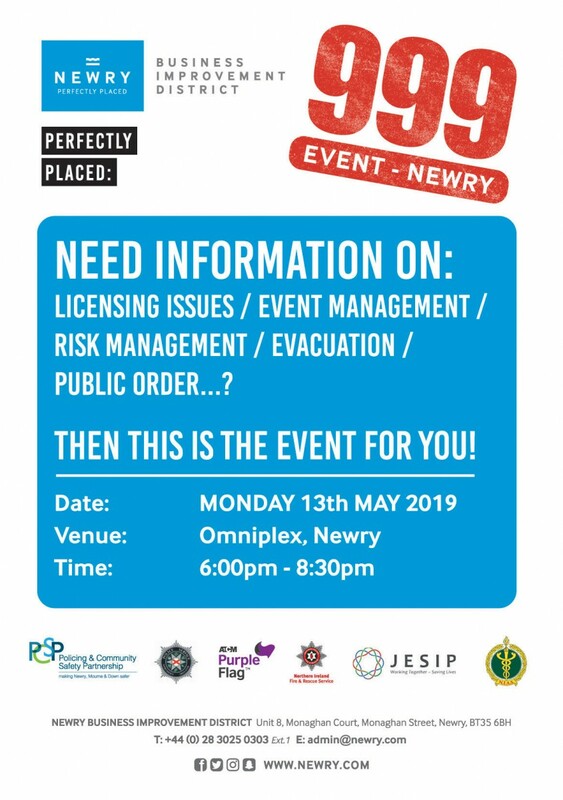 Come along to this Free event and receive information on Licensing issues, Event management, Risk Management, Evacuation & Public Order. Presentations from PSNI, Fire & Rescue Services, Ambulance Service & Door Staff Trainers. 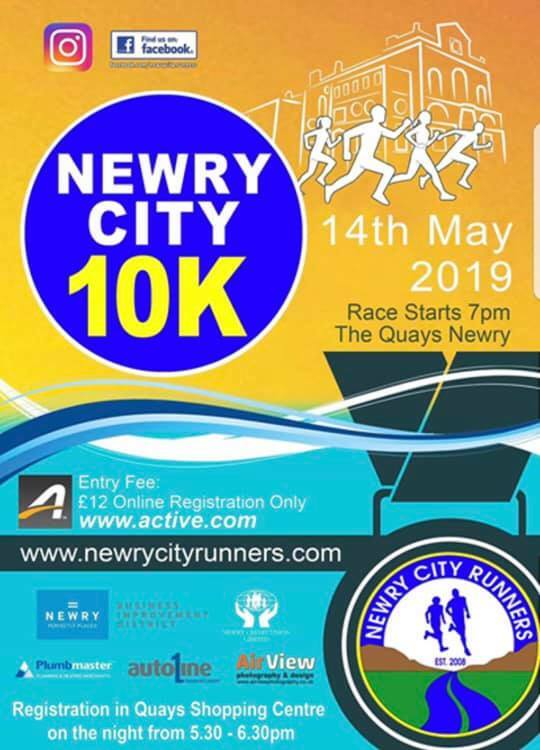 14may7:00 pm10:00 pmNewry City 10k 2019commence at The Quays Shopping Centre. Newry City’s 10k will take place on Tuesday 14th May at 7pm. 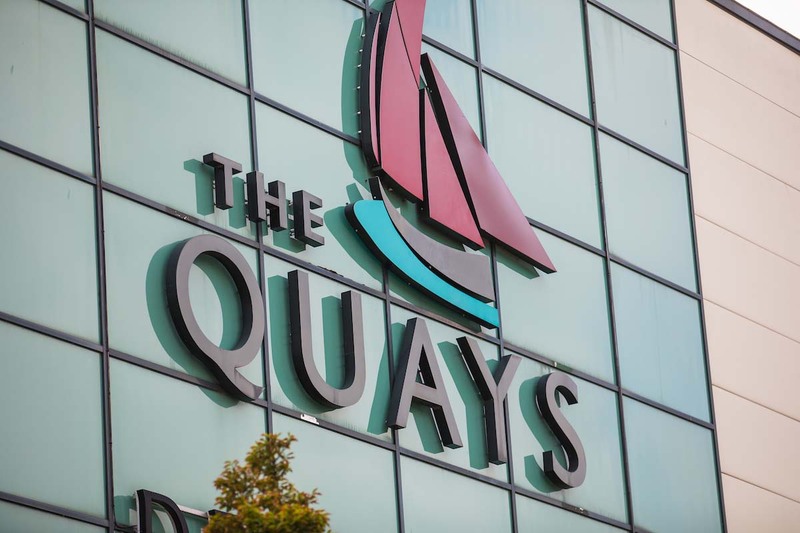 Race will commence at The Quays Shopping Centre. There will also be registration in The Quays on the Night from 5.30 – 6.30pm! 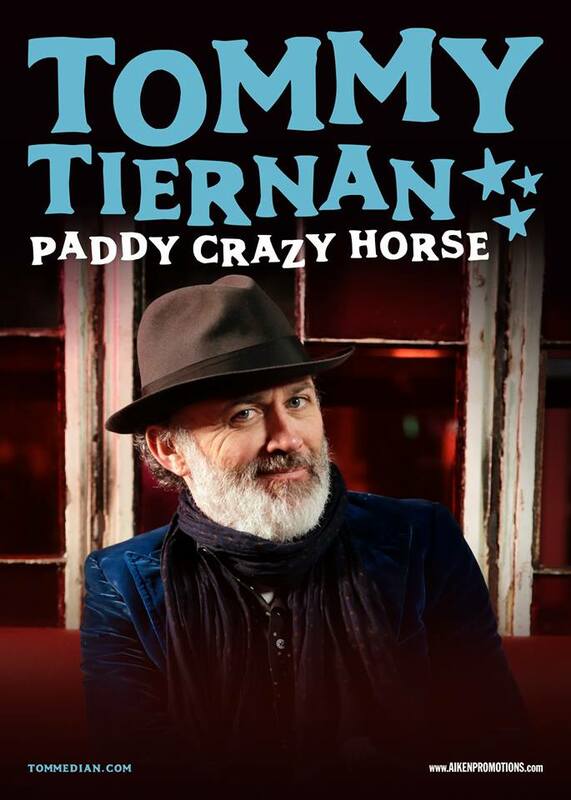 There is now a limited amount of Tommy Tiernan tickets left for the ‘Paddy Crazy Horse Tour’ at the Canal Court Hotel on the 23rd May 2019! 🎫Tickets are £30 and available at hotel reception! 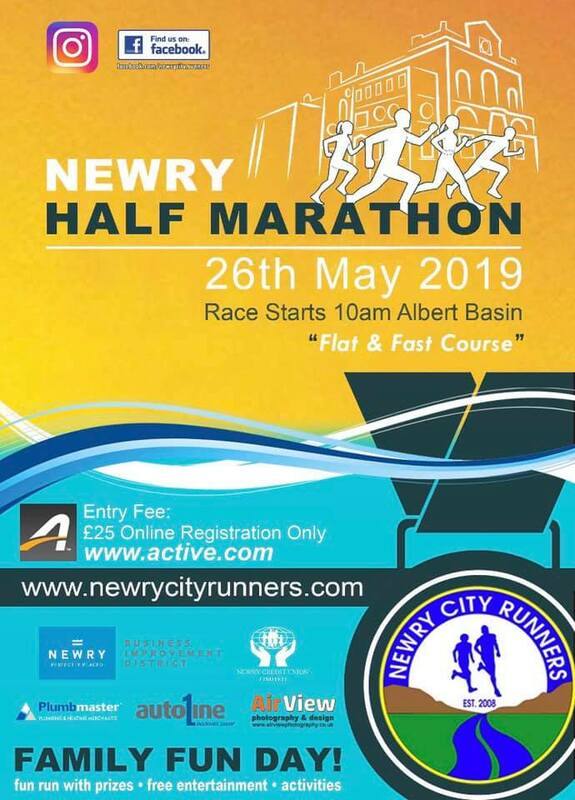 The 2019 Newry City Half Marathon will take place on Sunday 26th May at 10am. A free family entertainment zone will also be provided which will include a bouncy castle, obstacle courses and face painting! As part of the family entertainment a fun run will be held. The fun run will be geared towards children under 13. Entry forms are available from Newry Credit Union Offices 70/72 Hill Street, Newry. The entry fee will be £2.00 per entrant, payable to the Credit Union or on the day. All children must be accompanied by a parent or guardian. events@newrycityrunners.com or Visit Newry City Half Marathon Facebook Page. 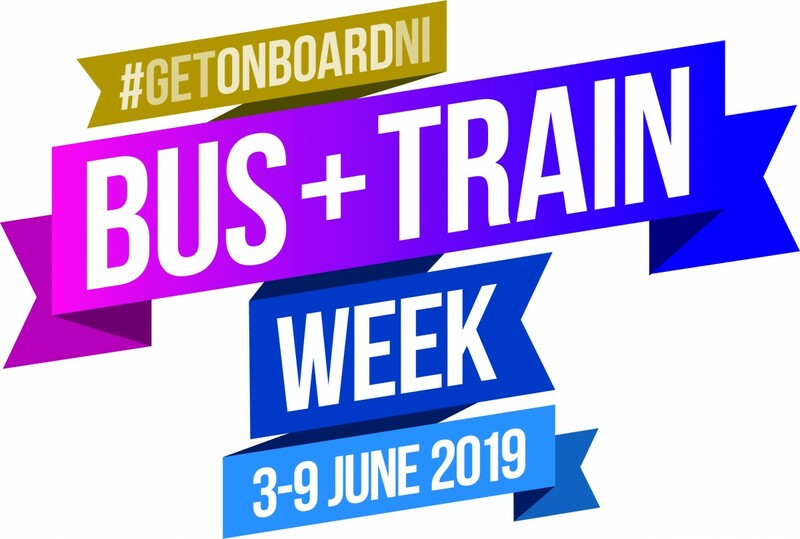 Newry BID are delighted to support Translink’s Bus & Train week which will take place from 3rd – 9th June. Bus & Train week is a celebration of the benefits of travelling by public transport in Northern Ireland. From 3rd – 9th June, enjoy exclusive discount travel tickets, special events in-station and on-board services. Take in your valid bus or train ticket to some of our member’s stores and receive some amazing discounts all week! Check out this months Featured BID Members, each month new members are selected to be the Featured Listing. Bank of Ireland payment acceptance are offering NEWRY BID Members an exclusive offer to save money on your business merchant services. 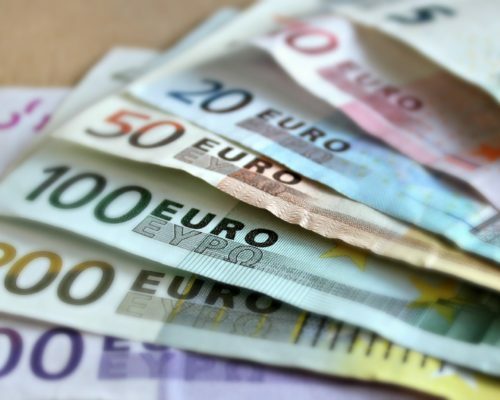 Most importantly you don not need to be an existing customer of the Bank of Ireland. 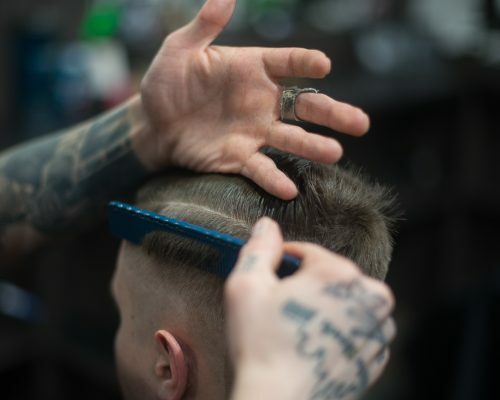 the BID package will see market leading rates generating savings for members and a £40 *Voucher for each member who avails of this service. Renewable energy partnership can help you save money on your gas and electricity bills. This is a free service providing an independent review of your energy costs and the opportunity to secure reduced costs on an annual basis. 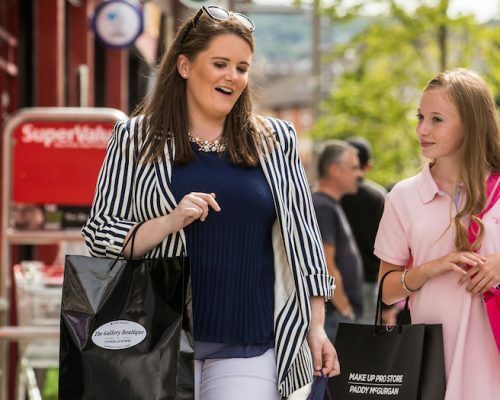 The consumer council are offering Newry BID members free advice on efficiency costs. 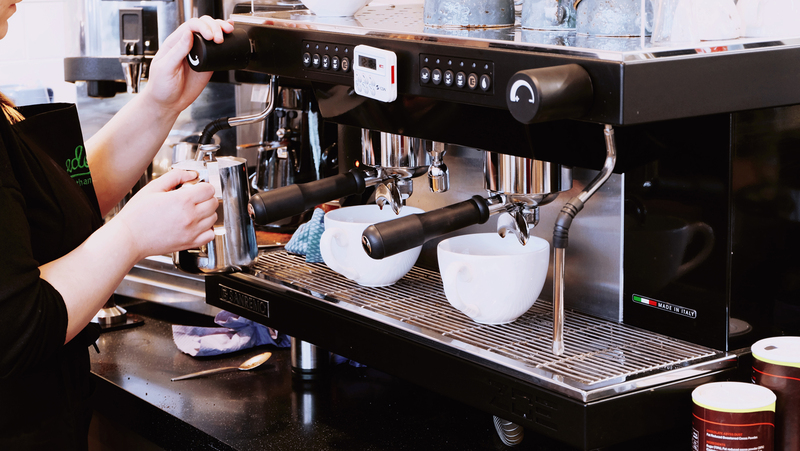 As a non-domestic rate payer your business could also be eligible for a domestic allowance of £522.54 per year on your water charges. 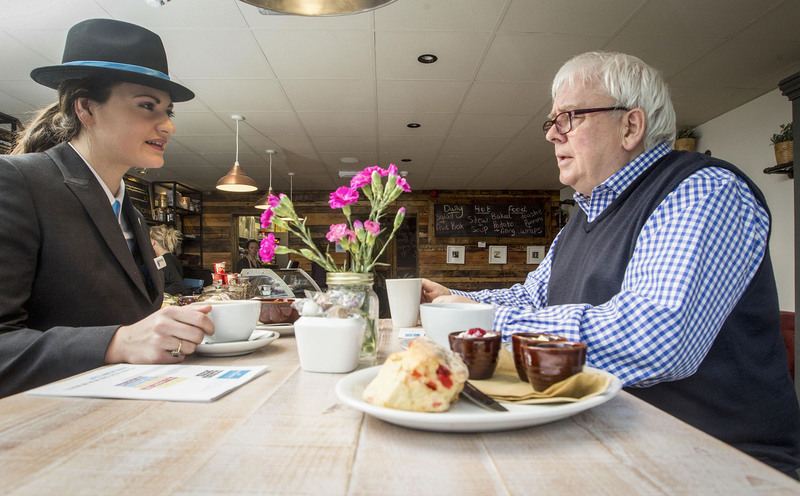 The PSNI and Policing & community Safety Partnership are providing businesses with free retail crime watch advice as part of their Shop Safe Scheme”/ Get advice on how to reduce stock loss in your premises and sign up today to avail of a free information pack and in house training. Search by location, these are the most popular locations in Newry Business Improvement district. 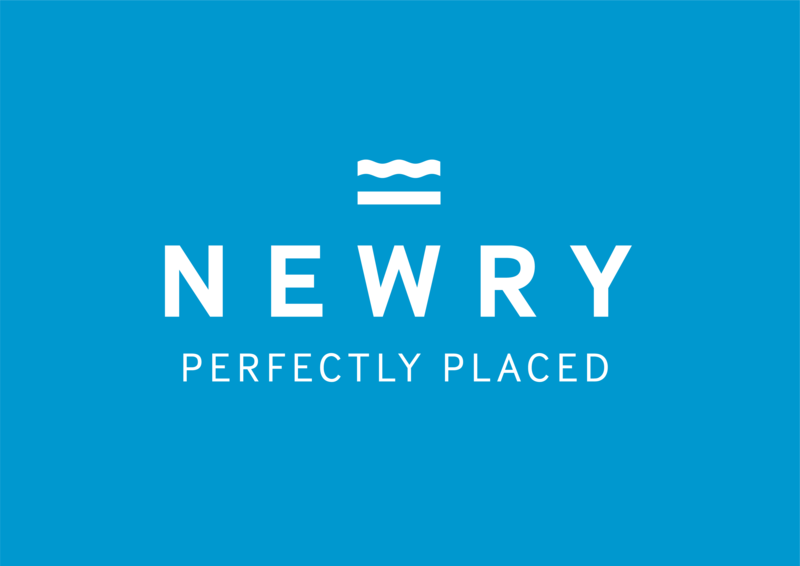 Check out the latest Newry Businesses to join the growing Business Improvement District. Freshly baked Pizza in the real Italian wood oven. Houseware and Stationery Homestores. Located in Newry, Drogheda, Dundalk, Navan.